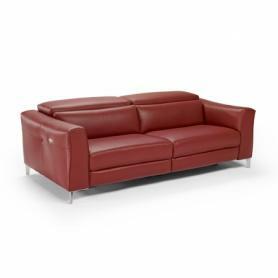 The Natuzzi Editions Carlo range features a range of options including an adjustable headrest and power reclining motion provide customizable comfort. The square arm design combines modern looks with outstanding comfort and practicality. Whether your living area is large or smal, this collection can suit your needs with many possible configuration options. Click the PDF icon on the right to download the datasheet for the Natuzzi Editions Carlo. 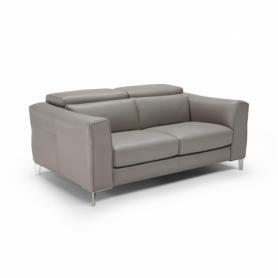 Sofas from the Carlo range can ordered and tailored to your specific requirements. Available in a range of sizes, leathers and fabrics.